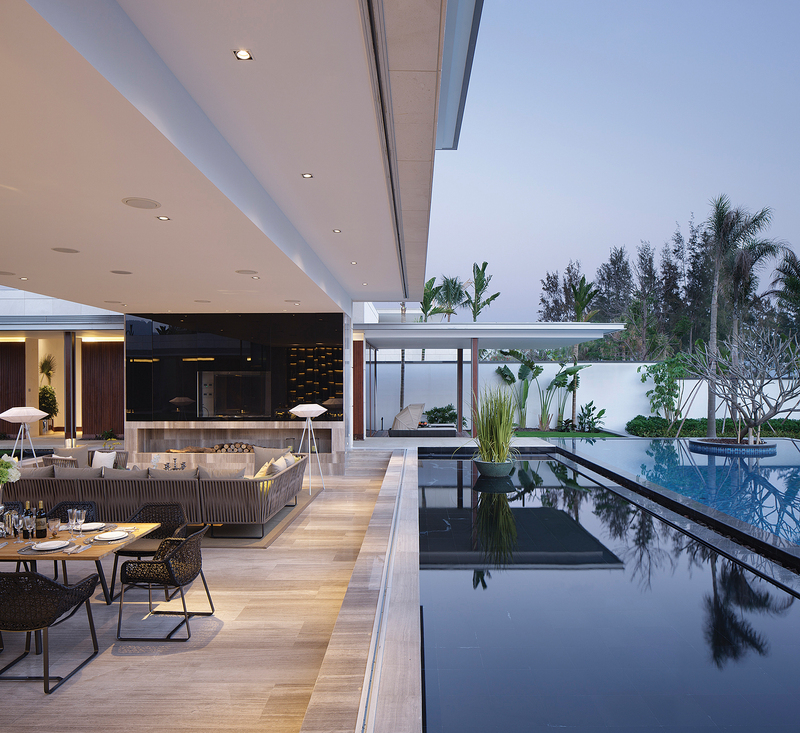 Hainan Resort Villa by CL3 Architects Ltd. 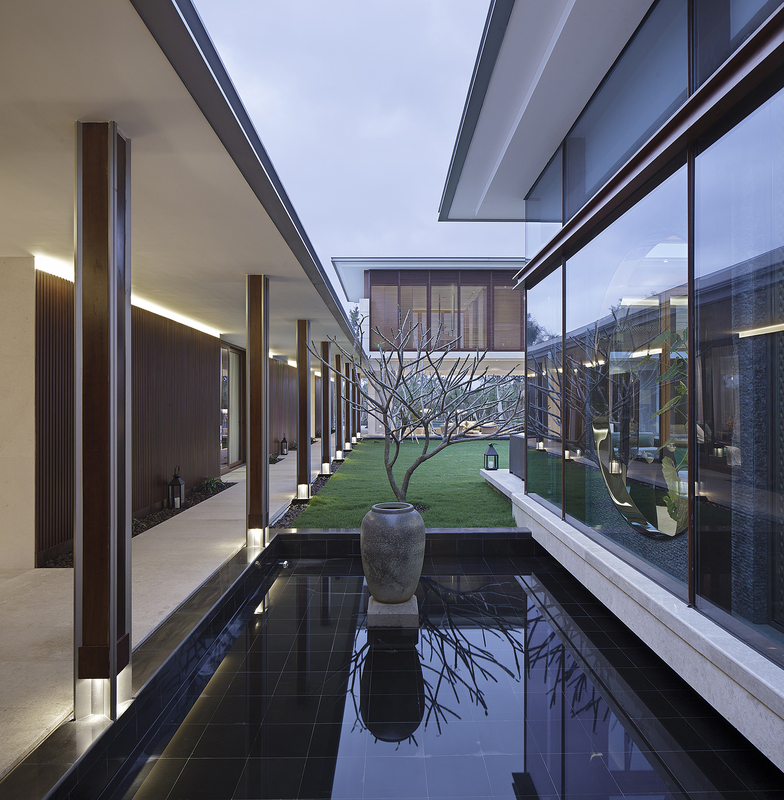 Starting with an integrated design approach by planning the spaces inside out, this house in Hainan Island was based on a Chinese courtyard architecture planning principal yet is totally open to nature. 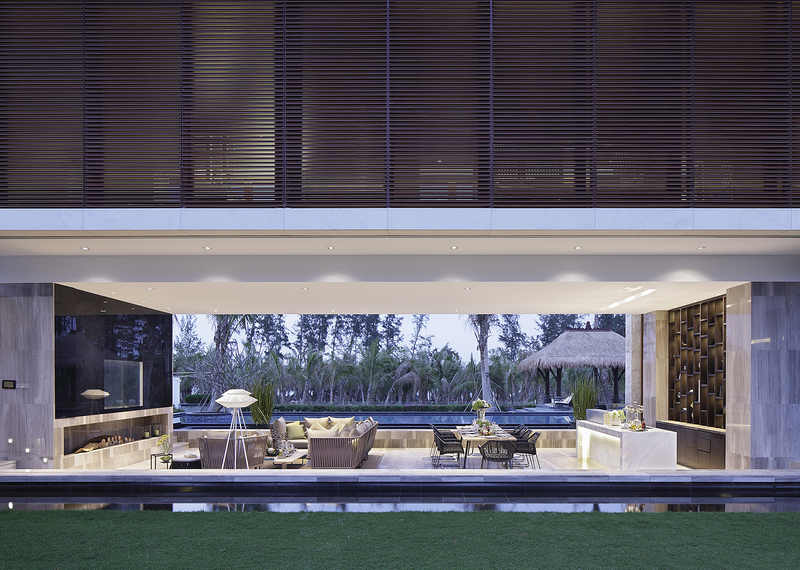 The design aims to create a seamless indoor / outdoor environment that carries the architectural finishes outside in. 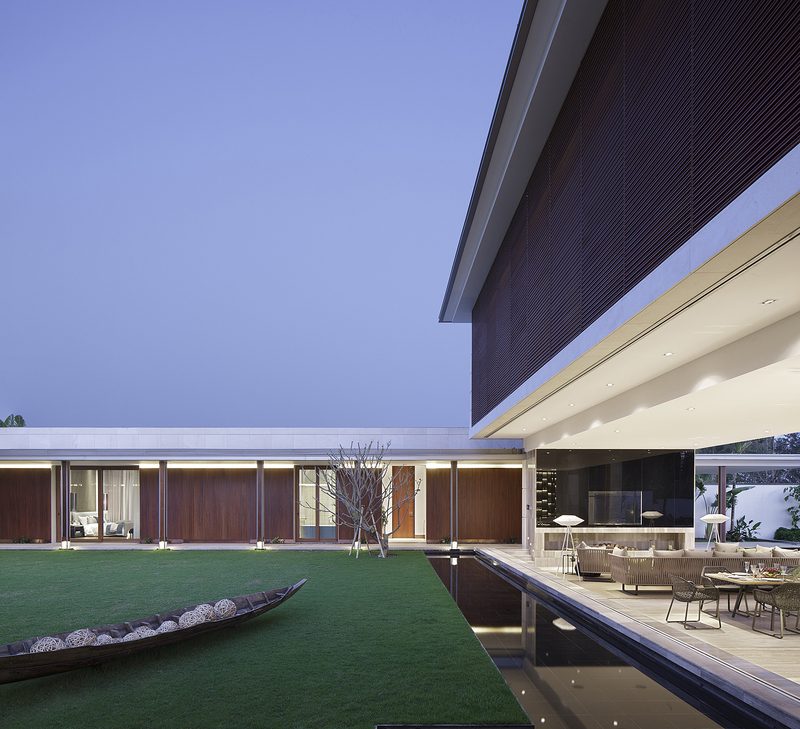 The design of the spaces takes careful consideration of views, landscape and solar angle. Large overhanging roofs and wooden screens are used to shade off strong direct daylight, while large sliding glass walls allows full opening up of spaces for the natural breeze. The master bedroom, elevated above the living spaces, is the only second level space and it takes advantage of the sea view. 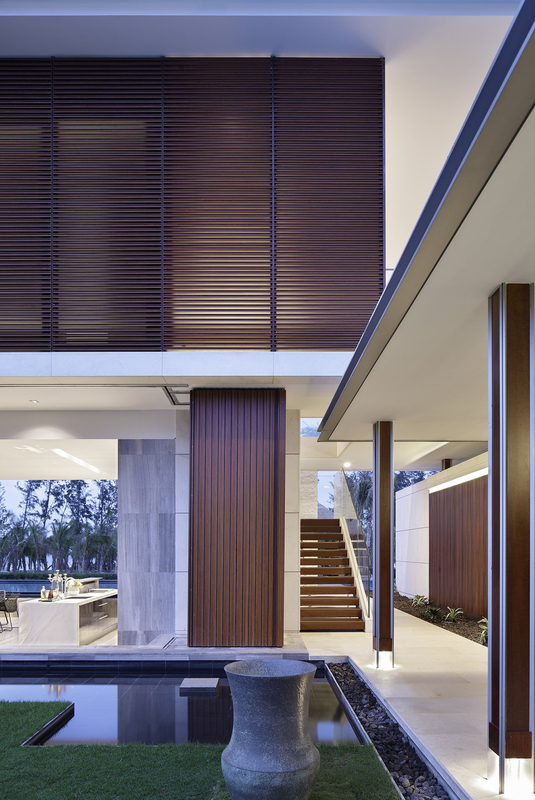 The other more private areas like guest bedrooms and studies are arranged behind timber clad walls and are open to private outdoor green spaces for connection to nature.